Nitten maken me smarter-er – Craft-a-licious . .
I’ve been knitting like a mad woman. And then knitting some more to make up for the time when I was yarn starved. Then, I again ponder over my time of yarn deprivation – and get yet another spur on. In the last month I’ve actually completed* 2 beanies, 3 egg cosys, 3 head bands, 2 mustaches, a fish and now a Christmas tree. Of course all other non-knitting parts of life were put on the back burner. The only exception was chocolate munching – in between rows (but sometimes during rows if it had pineapple or strawberry flavored filling). *yes, this procrastinating queen has actually finalised all those projects! When I’m knitting I sometimes think ‘yep, I reckon I’m not too bad at knitting’. Then I chance upon some knitting info and have to rethink just how smart I’m actually not. Below are 3 things I chanced upon just this week. All come from Åsa, a lady with an easy on the eyes website, and an equally easy on the brain tutorials section. Unfortunately, now I’ve become a bit smarter – I realize the enormous knowledge chasm I actually have. Damn it! Ignorance was bliss .. I love using interchangeable circular needles, really love them. Possibly just a bit too much if I was brutally honest. Nonetheless, when knitting in the round, I’ve always found it a tad annoying having to wiggle the last few stitches over the end of the left needle (where cord shank expands to meet needle diameter) as I’m setting up to knit them with the right. But, “there’s nothing I can do” I thought, “just get over it”. Well, as Åsa has so thoughtfully pointed out, yes you can do something. Very, very easily as it turns out – just use a smaller sized needle on the left hand side! What a revelation. I get a gleefully satisfying pang whenever I use them now, just thinking about this smart, simple solution and how clever I must look while knitting with different sized needles. Cables – by gosh they can look fabulous. But if doing one using only 2 stitches it can be a bit tricky and normally involves good lighting, glasses and concentration not to twist them on the cable needle. Generally, at least 1 of those 3 requirements won’t be available at time of doing the cable, resulting in a tink (ie. knit backwards; undo). If tinked often enough it may even result in unfinished project being flung across room until chocolate is found and calmness restored. However Åsa, knitting queen, has the solution – and it doesn’t even involve using a cable needle! Amazing. I love knitting horns using ‘short rows’. Not really sure why, just one of those (many) unexplained things that make up one’s personality type. Åsa has again shown me the way. Hallelujah! No more lifting of turned loops – along with the occasional gaps when my tension was too crappy – the usual way. I now use the German short row method. That deutsche methode ist fantastisch, meine guete. It certainly preserved my respect for short row knitting! Åsa, I think I love you. But only in a respectful, knitting technique-sense kinda way. Lastly, a BIG thank you to YOU, my followers. We all get lots of emails and I’m really grateful you chose to open mine! Sincerely, thanks for doing it. post script: all images in this post are absolutely NOT my own. I do however find them rather humorous and hope you do too. The only thing I know about Geralton was that I got stuck at the Perth airport for about 5 hours on my way to Exmouth for my honeymoon because our plane broke down and got stuck there. And as we finally took off the captain announced we were flying in the broken plane but everyone could have free drinks for the delay. Brilliant tip about using a smaller needle tip on the left side and I might steal a couple of the photos. That’s one way to never forget your honeymoon – lol! I was also really happy to learn of the circular tip. 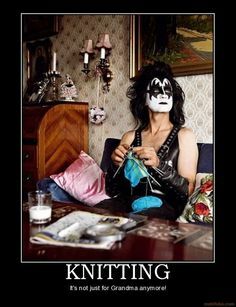 Images – I googled ‘knitting humour’, some of them really so make me smile! Cath! Your tips are truly enlightening for we semi-profesh knitters. But re Revelation 1: ” circular needles..use smaller on the left hand side”- um doesn’t this mean your knitting tension will go all Elephant Man?! & your sock will morph into either an acorn or a queen doona cover? FG! Thx for rev-headen by. Rev. 1 – if nitten with circulars in the round – for a beanie say (ie. not back and forth), the tension and loop size is only determined by the right needle, and just use the left to help knit the stitch. Brilliant! Yay for those (many, many) knitters who’re smarter’n me! Rev. 2 – those 2 sts on the cable needle usually twist themselves into the wrong direction on the needle – but it goes unnoticed because you’ve just grabbed the chocolate, can’t find yr glasses etc. So you end up knitting them twisted which you don’t notice until the end of the row. Then I start getten a bit angry. Rev. 3 – now I must go find a secret place to dream of Till ..!! 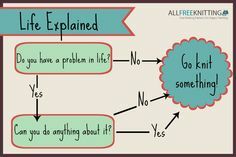 Good information. No matter how long I’ve knit, there is more to learn.